China will reduce direct government intervention in its vast industrial sector, the industry minister said on Monday, as Beijing seeks to ease concerns about its industrial policy, core to Washington’s complaints in the Sino-U.S. trade war. The government’s pledge to reduce its influence over operational matters in China’s manufacturing sector follows an apparent toning down of its high-tech industrial push, which has long annoyed the United States. “We will gradually reduce the government’s micro-management and direct intervention, in order to allow the market to effectively decide resource allocation and support the development of the manufacturing industry”, Miao Wei, minister of industry and informational technology, said at the China Development Forum. But China will continue to encourage higher-value production, he said. 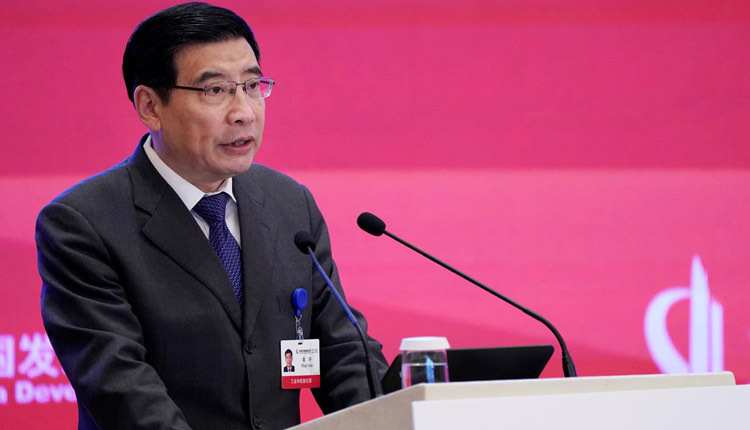 In his speech, Miao did not touch on the so-called “Made in China 2025” plan, an initiative intended to help China catch up with global rivals in sophisticated technologies such as semiconductors, robotics, aerospace and artificial intelligence (AI). The state-backed industrial policy has provoked alarm in the West, due to China’s open efforts to deploy state support and subsidies. The comments came days ahead of the latest round of high-level trade talks between China and the United States starting in Beijing on Thursday. Washington has threatened further action if China does not change its practices on issues ranging from industrial subsidies to intellectual property. China is not conceding to U.S. demands to ease curbs on technology companies, the Financial Times reported on Sunday, citing three people briefed on the discussions. The latest conciliatory tone struck by Beijing to placate Washington does not mean China is less serious about its high-tech manufacturing drive, with local governments still rolling out plans to help manufactuers move up the value chain. Local governments have also been told to pursue new engines of industrial growth by developing innovative technologies, such as new energy vehicles (NEVs) and artificial intelligence (AI). Miao said technology manufacturers needed to survive “the Valley of Death” as they seek to turn laboratory samples into mass production. The southern province of Hunan this month issued a three-year plan for the AI sector, pledging more support for a local industry whose size is projected to reach 10 billion yuan ($1.49 billion) by 2021. When asked to comment on President Donald Trump’s wish to bring manufacturing jobs back to the United States, Miao said that such decisions could not be made by a single person because an entire supply chain was involved. “Every company will consider putting its supply chain in a country were costs are relatively lower, this the purpose of the law of economics,” he said. In a bid to support to small companies, many of which have been struggling to get financing, Miao said small and medium-sized companies will play a bigger role in the sector’s innovation. China is planning to launch a highly-anticipated Nasdaq-style technology board – a move by Beijing to counter U.S. curbs on China’s technology advances. The government’s next move is to implement policies such as tax reductions and to improve the protection of intellectual property rights, according to Miao, adding that the general manufacturing sector will be fully liberalized.